The H.O.M.E. Foundation gives to Partnership With Native Americans (PWNA) out of concern for the elderly population. They support the way that PWNA encourages socialization in isolated communities and involvement from the community in the delivery of our services. Their support has enabled PWNA to execute several community-based projects in behalf of Native American Elders. When family foundations, community foundations, and corporations give to PWNA, it is often because we address urgent needs connected with extreme poverty. Often the family or organization places a higher priority on certain needs, such as hunger, healthcare, youth services, elder services, education, or housing. Sometimes the goals of a foundation match the way we approach the work. 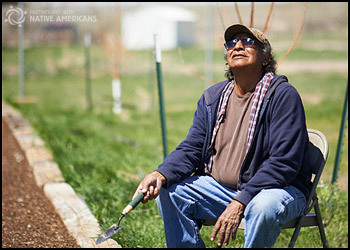 Often, groups who support us appreciate that our approach helps reservation communities avoid dependency, while addressing both short-term and long-term solutions. In addition to humanitarian relief efforts, PWNA has grass roots projects underway with a focus on sustainability. Examples are developing farmer’s markets, garden tilling and training projects, and housing projects. We are always in need of grants to support projects related to youth, the elderly, or community collaborations. If your foundation or organization is concerned with basic humanitarian relief efforts, or long-term, high-impact projects, we hope you will remember Partnership With Native Americans and the American Indian people we serve. For questions about grants or volume giving, please email Programs or call toll-free 866-556-2472.